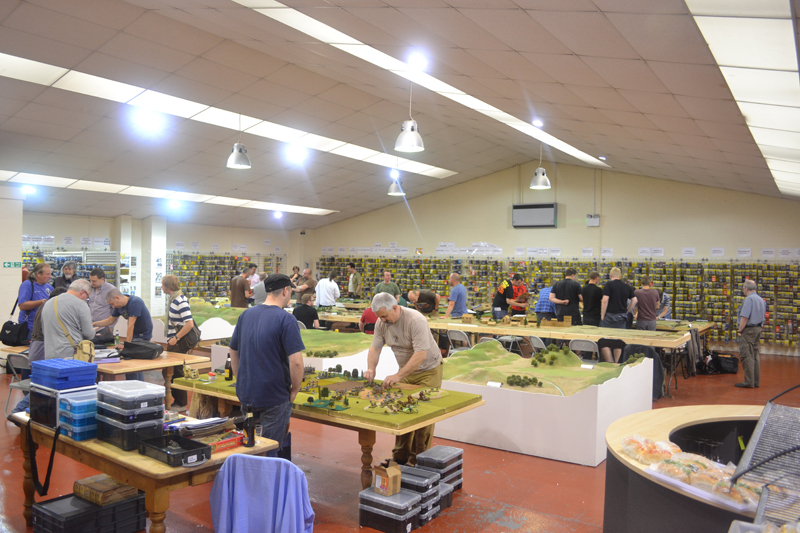 "BRING OUT YOUR LEAD is the annual gaming event that brings together the best of the tabletop retrogaming community, held on the first weekend of August at our shop in East Stoke near Newark, Nottinghamshire.. Thanks to Mark Stevenson and Tony Yates for their photos. Obligatory annual group photo, this time we had chairs! Organiser Garth announcing the painting competition winners. Kevin Adams joined us on the Sunday to sculpt heads and raise money for St Nicholas Hospice. The Shrine of Rigg game by Harry and Paul. Tony Yates was of course present to talk, draw and discuss old concept art. Mark Stevenson was kind enough to bring along a selection of his old Asgard figures to put on display over the weekend. John Blanche and Mark Stevenson. John dropped by on the Saturday. And many more games going on over all three days. We have four new packs of Ex Citadel models cast especially for Bring Out Your Lead 2018; Reavers, Barbarians, Marauders & Outlaws. Now available online. A short video kindly shot by Alex Brooks. Group photo from Saturday lunch time, thank you to everyone who joined us over the weekend and especially to those who spent all three days with us. GoblinMaster Kevin Adams was once again sculpting heads and raising money for charity, below are just a few examples of the work he did over the weekend. Bryan and Diane with Rick Priestley and John Stallard. Also in attendance was the legendary Nigel Stillman. 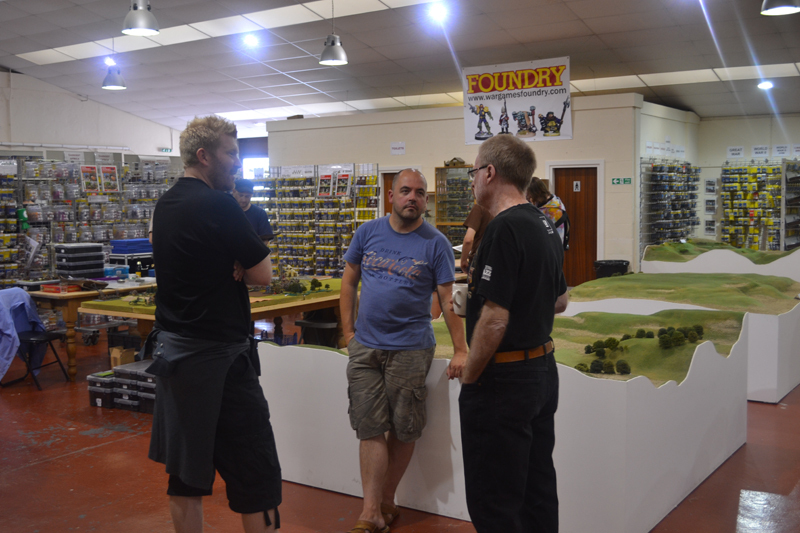 A few lucky people got to see the actual Bretonnian army he used at Games Workshop including the one off figures he sculpted for it as well as masters of his unreleased range of ancient buildings. Every year there is a painting competition. This time around we were we uncharacteristically prepared (probably due to organiser Garth and his sign up sheets). The categories were: Single Figure, Unit, Big Thing. Winner of an honourable mention, the 'Inconvenienced Minotaur' by Steve Casey. 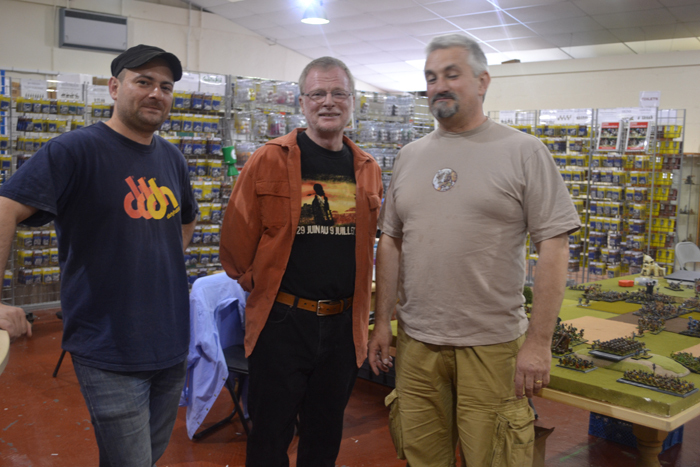 Artist and friend of Foundry, Tony Yates was present with his table of art and miniatures. Seen here with Dave Wood. Tony Yates and Maria Ansell (Thanks Dave for the photo). 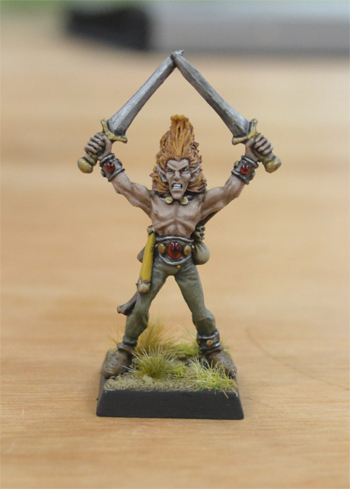 One of Tony's sculpts was a prize for the painting competition last year and made it's way back in to a game this year! In the shop where people could have a browse in-between gaming. One of the two new cabinets we added to the shop just in time for B.O.Y.L. Filled with all sorts of special editions and conversions you may recognise from the pages of White Dwarf. The second shelf from the top was mostly full of the Tony Yates sculpted figures Bryan used to play Laserburn and playtest Rogue Trader. We also changed most of our display to old Citadel and Games Workshop figures from Bryan's Collection. Most these figures had been in storage for a very long time until sorted out relatively recently by Steve Casey. We tried to arrange them in the same groups as the original White Dwarf releases as much as possible so that you could get a proper look at the paintjobs shown on the Stuff of Legends website. This cabinet was recently installed and filled entirely with 1980s Citadel human armies: Men at Arms, Normans and Feudals. All these figures are still in production today. The Marquee was a bustle of excitement with multiple games going on in every corner. The Snorkling Space Hoppers game, we hear that there are plans for more additions, exclusive miniatures and an orcling raptor game next year?! We had to include this Orcling/Beatles conversion. Diane Ansell saying farewell to Tony Ackland at the train station, until next year Tony! We are already thinking about B.O.Y.L 2018, by then I am sure we will have found lots more painted models to display and release. Save the date August the 3rd 4th & 5th 2018. For a great recap visit Tony Yates blog here. Bring Our Your Lead! Special guests included: Tony Ackland, Kevin Adams and Wayne England. We displayed original art and painted models from the personal collection of Bryan Ansell. Credit to this year's photos and captions to James Taylor (thanks James!) you can read his full recap here. "Kev Adams was in residence on the Friday and Saturday. He spent a long time raising money to a charity close to his heart by sculpting people's faces onto existing miniatures." " A personal highlight for the author of this blog was spending time in the company of Tony Ackland. He had brought along a large collection of his artworks and was more than happy to discuss each piece (in considerable depth) with fans, as well as share a few amusing anecdotes of the Golden Age." "Tony's artwork was very impressive. There was a very large number of illustrations including several that we think have never been published before." 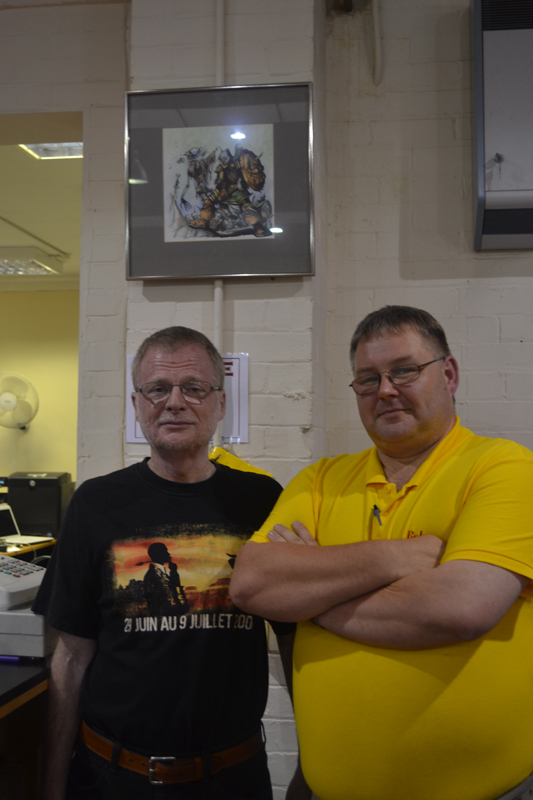 " Tony Yates was about on the Saturday - sharing his artwork and providing sketches for enthusiasts. 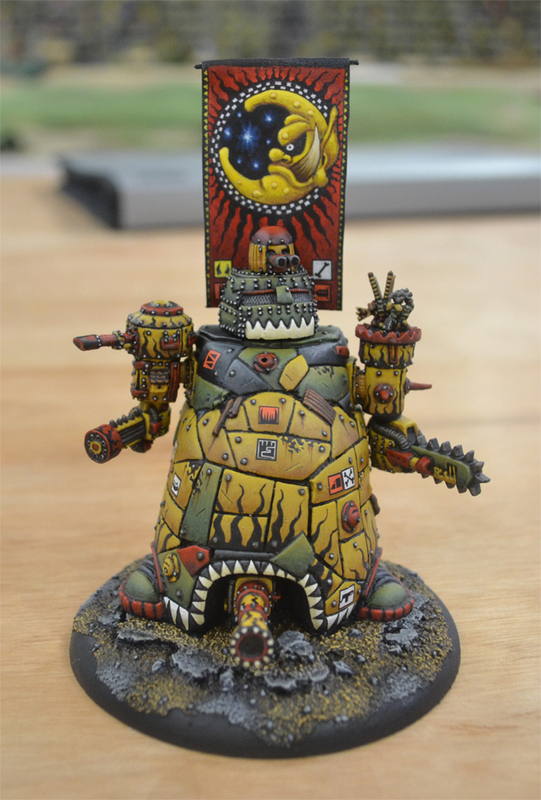 It is always nice to see Tony and his bright, original models were fantastic to see in more detail." " Steve Beales' (Thantsants) incredible pirate ship. The different decks were modelled in great detail to allow for boarding actions. A real achievement." 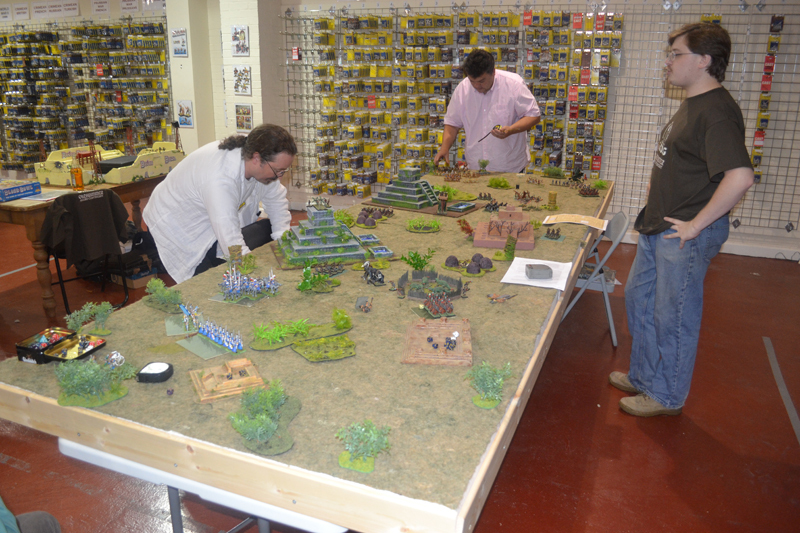 Once again this August 2014 Foundry hosted the Oldhammer weekend (well Friday afternoon to Sunday). This time it was at our new premises which included a great marquee in the middle of the courtyard with gaming tables and the bar as well as the other tables in amongst our shop. 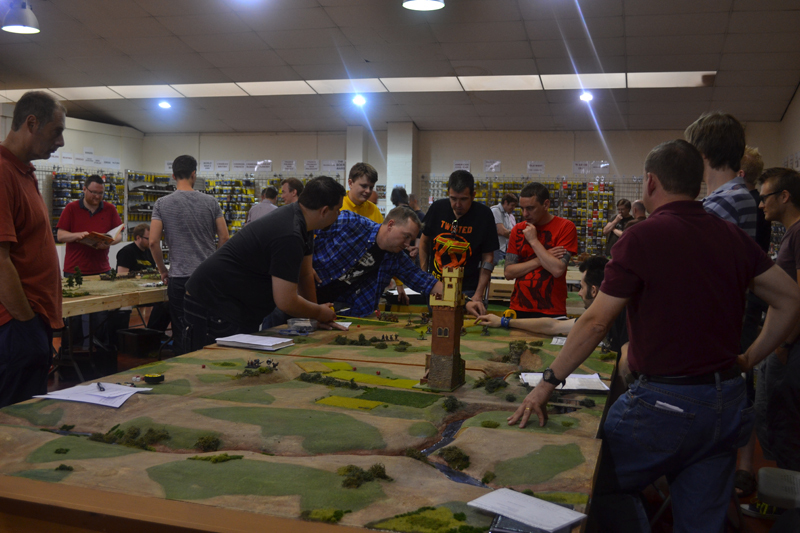 Attendance was up on last year, and there was a great variety of games being played from the giant siege centrepiece using Warhammer through Necromunda, Epic, 40K, Gorkamorka, HeroQuest and more. Everyone seemed to have a great time gaming, even when the weather turned rainy and windy (luckily the gusts of wind which lifted the marquee a foot into the air happened after the games had finished - we were literally hanging in there at this point). 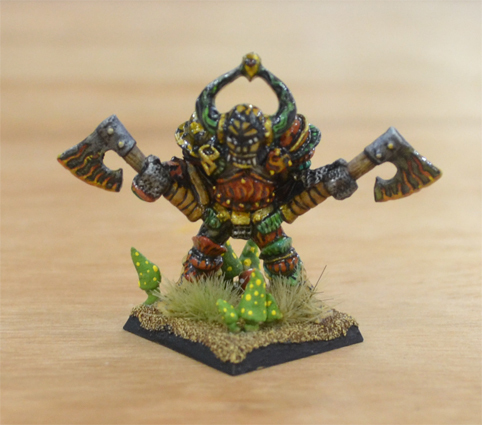 The Oldhammer Goblins were distributed and the painting competitions received more entries than last year with a high standard of painting much in evidence. The Besieging Army and the outerworks of the Defenders. Ernie's Chicken joins the retreating column as it hurries to gain the safety of the walls. 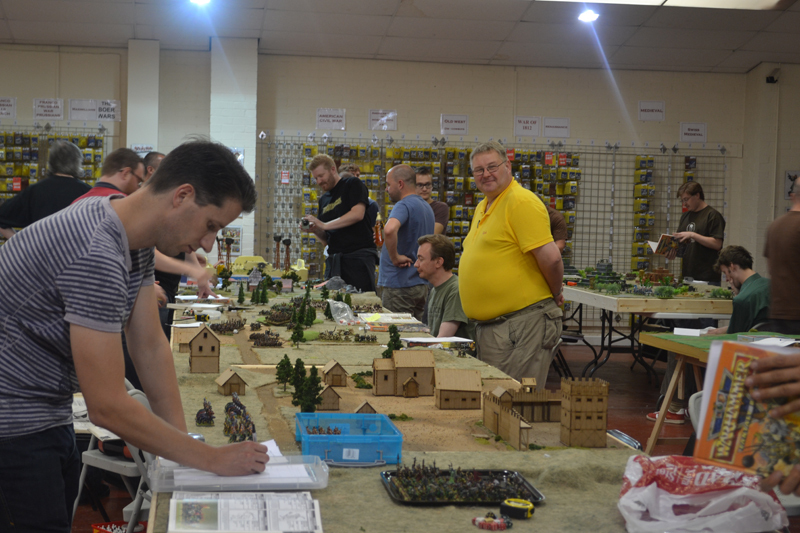 Thank you very much to everyone who turned up to the Oldhammer weekend! 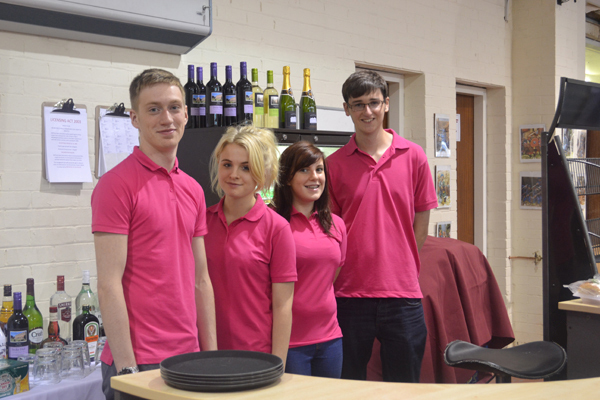 We all very much enjoyed having you here and you are all very welcome to come back again. We especially enjoyed seeing the wonderful collections of models that were about on the day as well as meeting many of the people whose blogs we follow. We will be putting lots more pictures up shortly, but for now here are a few highlights and some of the Golden Gobbo painting competition entries (the ones that were about when I was photographing stuff at the end of the last day, anyway). Special thanks to the organisers who made everything happen. Rumble in the Jungle was one of the great participation games that was being run by members of the B.L.O.O.D. forum. The Realm of Chaos Open Table seemed to be very popular throughout the weekend. Nico's Golden Gobbo entry came first place! This is terribly embarrassing but unfortunately we don't know who any of these other entries belong to! It would be great if someone could drop us an email to let us know. The mushrooms are a very nice touch! Bryan Ansell and Robert Townsend in front of Harry the Hammer, the original artwork for the first edition Warhammer box. 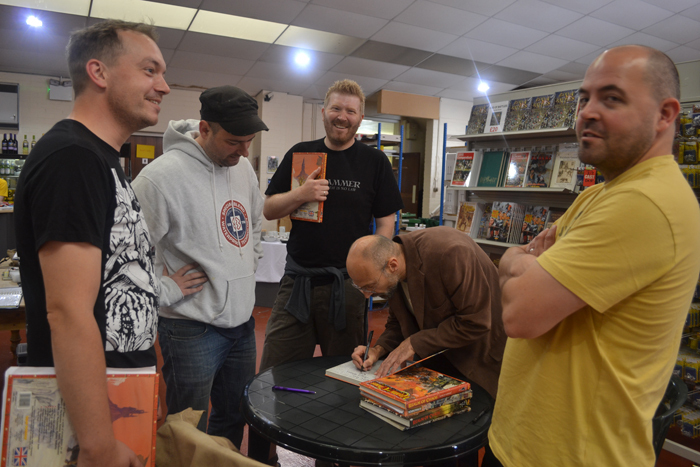 Rick Priestley signing copies of third edition Warhammer. 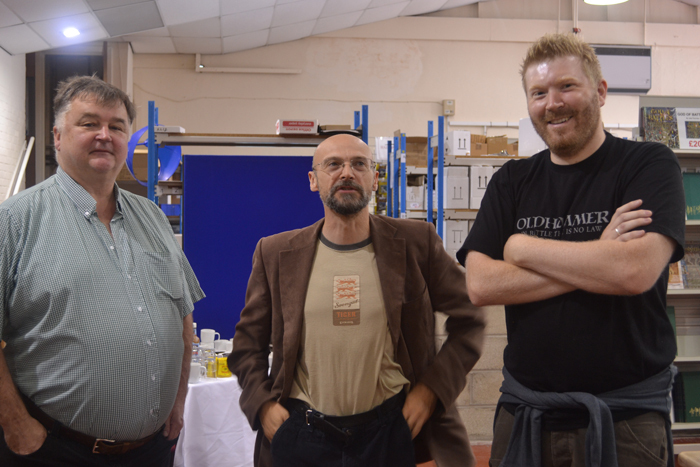 Two of the organisers: James Taylor and Garth James chatting with Bryan Ansell. John Stallard, Rick Priestley and James Taylor. John comes in whenever he needs more models for his personal collection. The game Nico and Paul put on was very impressive with hundreds of exquisitely painted miniatures. They were really good at calming down all the fights that broke out!